Miss Quinn's House, Main St.
Killcummin Cemetery Project is well under way with volunteers transcribing the inscriptions from the head stones. The graves are all mapped and numbered. There are a number of unknown graves and we seek the public’s support in identifying those graves. 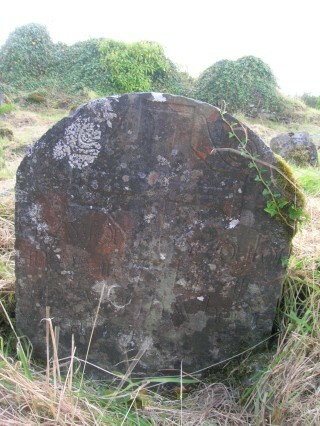 The oldest grave dates (so far discovered) back to 1747 a hundred years before the famine 1845-1847. It is a free standing, decorated stone dedicated to Hue Darcy and his wife Napy Welsh. 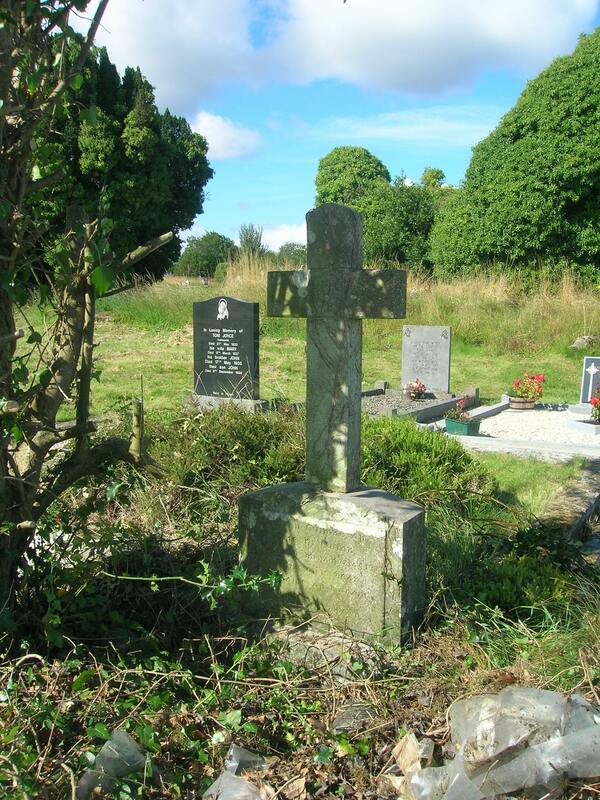 Recently we came across a grave which was totally obliterated by a huge holly bush but on moving the holly and briars sideways we discovered that it was the grave of Áine Ní Cuinn 1933. We received permission from her nephew Frank O Malley, Rosmuc to cut down the bush and expose the inscription which was written in the old gaelic writing. Frank now intends renovating the grave. Ann Quinn a native of Sligo was appointed to the Killannin Congested District Board. She built the house opposite Mc Namara’s shop and set up a knitting business in the house. She sold the lace with her knitting garments for local lace-makers. Mary Conneely and Dell Mc Donagh, Claremount worked for Ann as well as Flosie Dunseath. 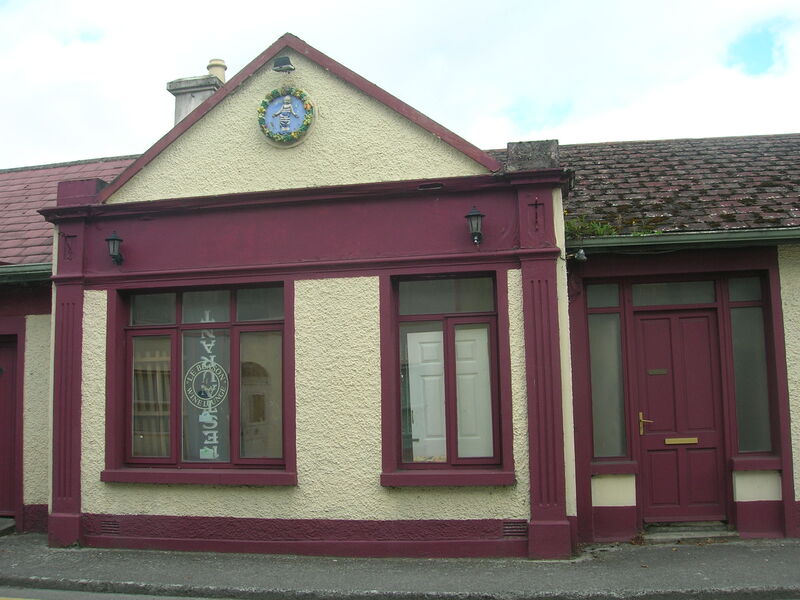 Ann’s sister, Bridget, wife of Michael O Malley, (shopkeeper, Rosmuc) took over the business when Ann died 1933. Ann died in Rosmuc and was buried in Oughterard. She was an ardent supporter of the G.A.A and followers of the G.A.A. escorted her remains from the bridge to her place of rest. The building was sold to John Joyces wife’s sister, Miss Begley from Claremorris. This page was added on 21/10/2011. We know our uncle Stephen Lee is buried in that cemetery but we were unable to locate the grave. We asked the superintendent, he checked the map & we went to the spot with him but there was a different name on the stone. I assume Stephen’s brother Michael & his wife Catherine was buried there also.